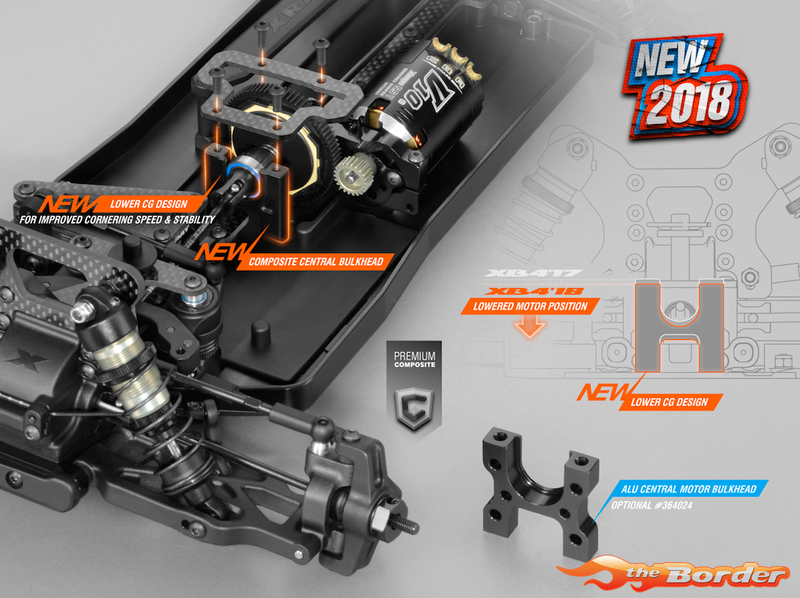 The new XB4 chassis was redesigned with the main focus to lower the CG to improve cornering speed and stability. 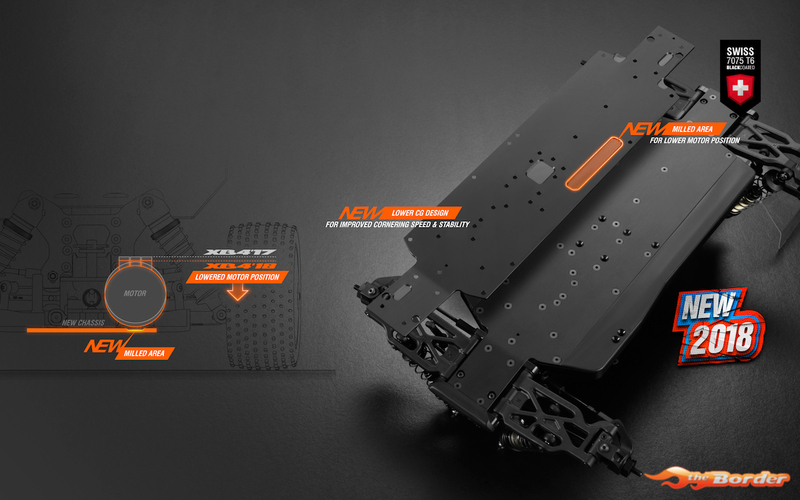 The new chassis accommodates the new lower motor mount. CNC-machined from high-quality Swiss 2mm 7075 T6 aluminum, the chassis is strategically machined in low-stress areas to make it as light as possible without affecting strength or rigidity; additionally black-coated for increased lifespan. 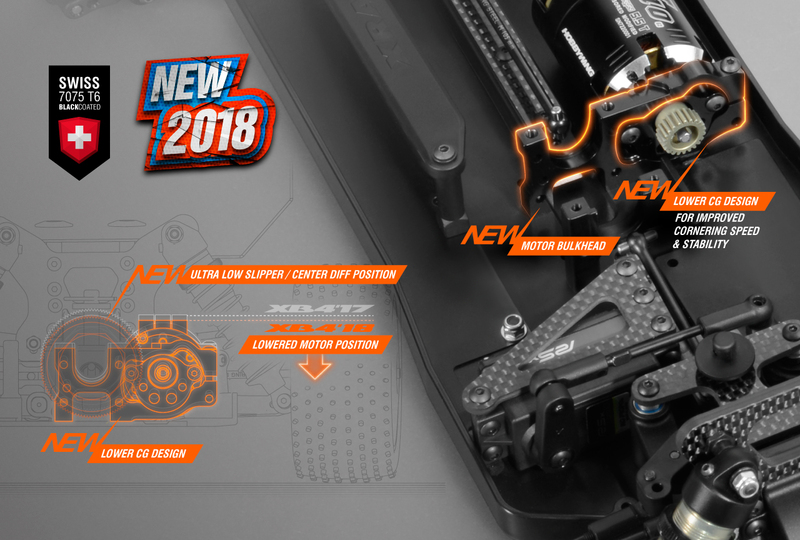 The all-new lower motor bulkhead decreases the weight position of motor and central slipper clutch/diff, improving cornering speed and stability. With the lower CG design focus on the new XB4, the central bulkhead was lowered as well. 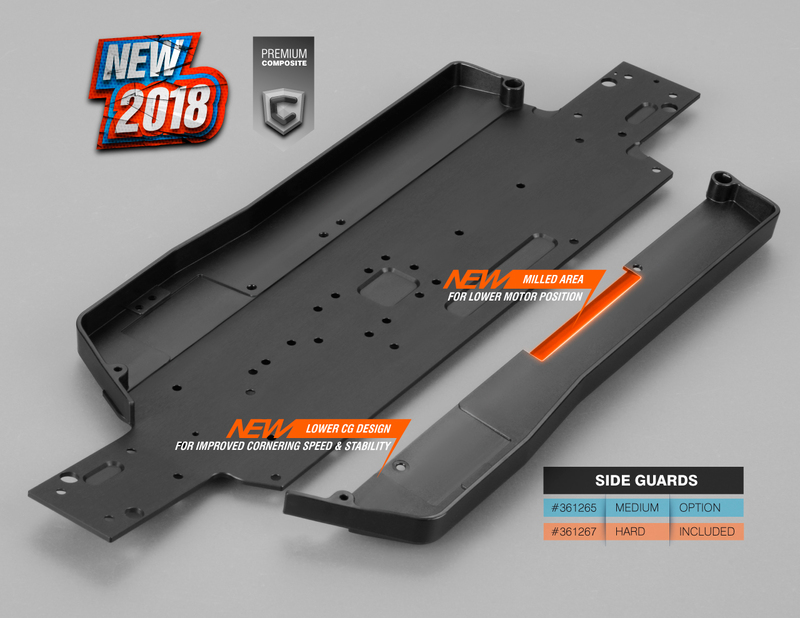 The side guards were redesigned to allow the motor to be positioned as low as possible on the chassis to improve cornering speed and stability. To improve the precision of the shock shaft movement, the front composite shim was redesigned and updated with a more accurate mould design. Well-built, reliable shock absorbers are extremely important for super-smooth suspension action on any type of track. 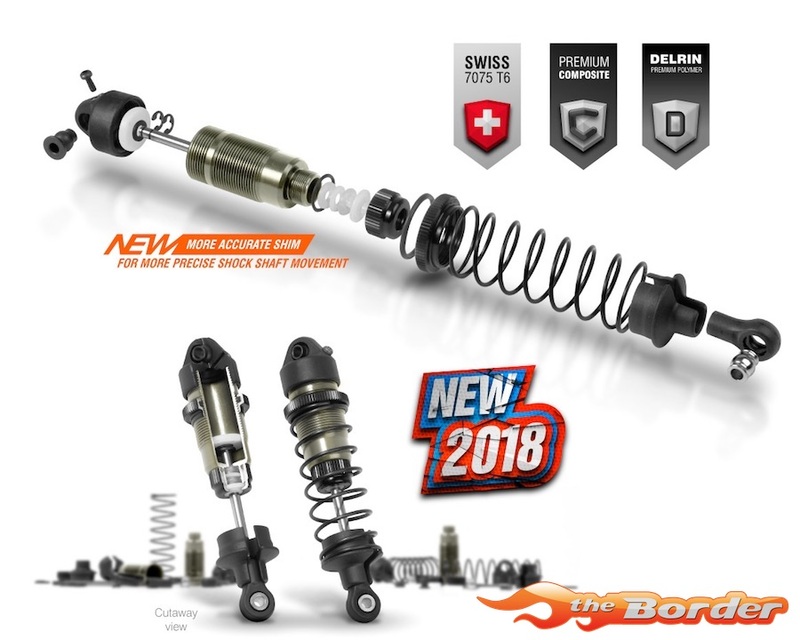 The shocks on the XB2 have been specifically designed to be built easily, perform consistently, and last reliably. Careful attention was paid to the smallest details during the design process, as well as during long-term testing in various conditions. 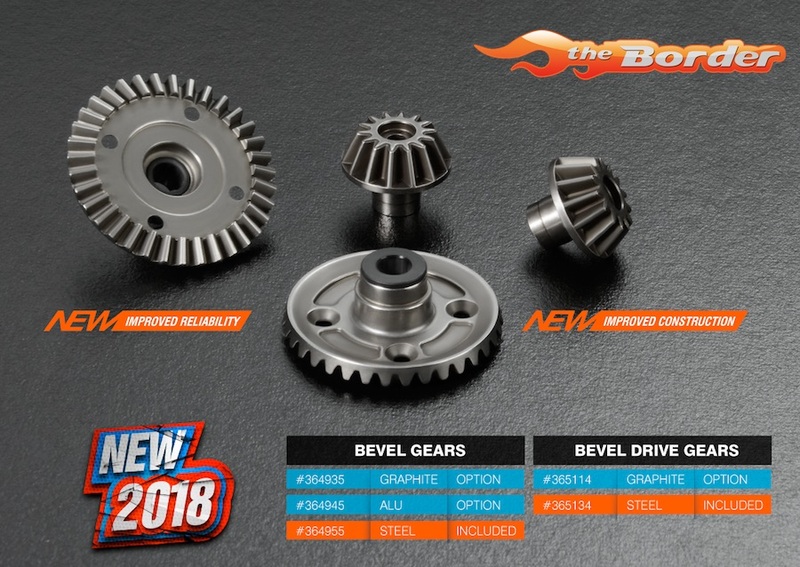 To improve the reliability of the differential and ensure quieter operation, both front and rear differential crown gears construction and production details were improved. Both front & rear diff crown gears and pinion gears are made from steel which has been additionally hardened to ensure increased lifespan and reliability.